Brand new without tags. In perfect condition, never used. Adorable sturdy spacious adjustable hand bag which comes with two different adjustable straps, a handbag strap and a shoulder strap. 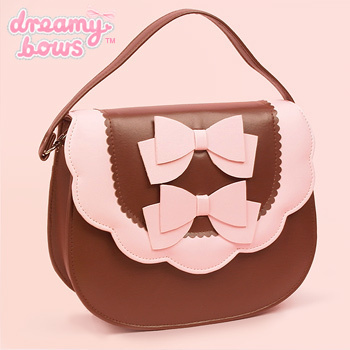 Featuring cute scalloped edging, and two cute bows on the opening flap. The flap secures with a magnetic popper and has a small zip fastened inner pocket to store small things inside.